KANSAS CITY, Mo. 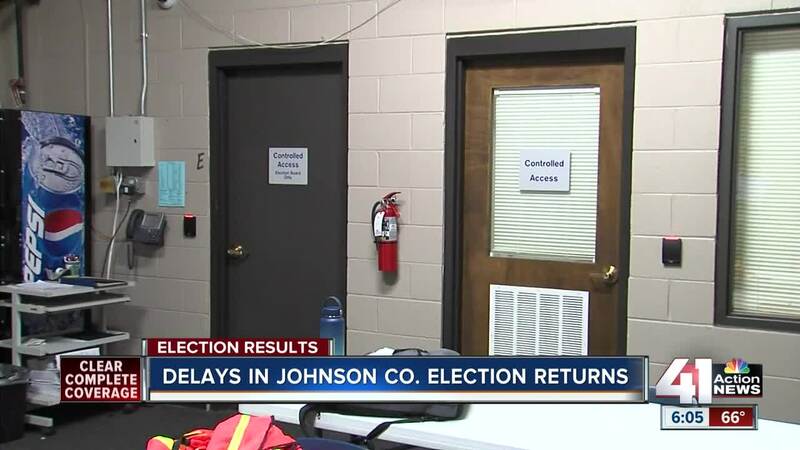 – The political eyes of Kansas were on Johnson County late Tuesday night as delays kept the county from posting election results. The Johnson County Election Office announced unofficial final results in the last two tight races just before 8 a.m. Wednesday. The office posted results of advance voting early Tuesday evening about an hour later than planned due to some voters still casting their ballots around 8 p.m.
An election office official told 41 Action News the delay was caused by "slow reporting." 41 Action News reporter Tom Dempsey spoke with Johnson County Election Commissioner Ronnie Metsker, who said part of the problem was with USB drives containing voter data. Just stopped by JoCo election commission. Metsker said that each one of the 196 voting locations has a USB drive with voter data. The drives normally take seconds to upload, but Tuesday night each drive was taking more than a minute to upload, leading to long delays. 1 encrypted USB drive for each of the 196 voting locations. Each one should take seconds to upload. 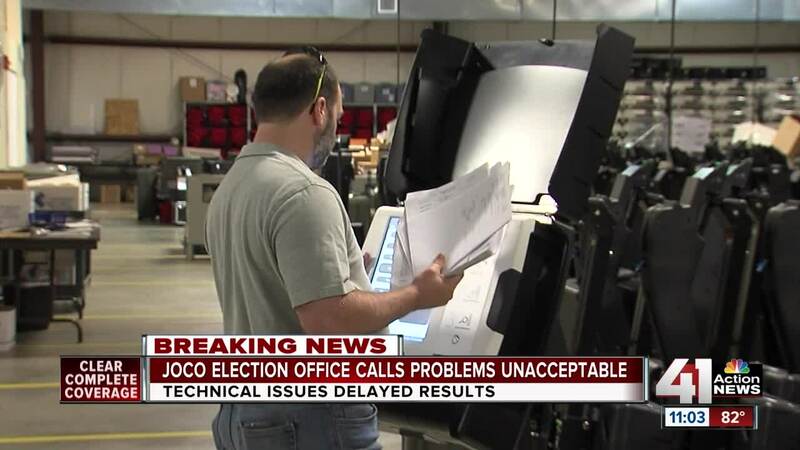 The Johnson County Election Office released a statement Wednesday saying it was working with the vendor to figure out what caused the delay, how to resolve the issue and make sure it doesn't happen again. The county recently spent more than $10 million on 2,100 new voting machines. It's unclear if Tuesday's delay is connected to the new machines. The results were key in determining the outcomes of two high-profile races: the Republican nomination for Kansas governor and the Democratic nomination for the 3rd Congressional District. The last update from the election office came at 8:00 a.m. Wednesday with all precincts reporting. Kansas Secretary of State Kris Kobach won over current Gov. Jeff Colyer by less than 200 votes statewide. In the Democratic primary for the 3rd Congressional District, Sharice Davids won over Brent Welder in the six-candidate field with 37 percent of the vote. Welder had secured 34 percent of the vote. You can view the updated election results from Johnson County here .